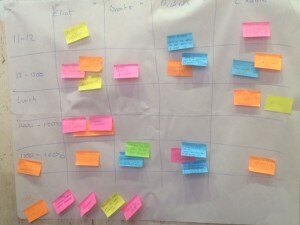 During the weekend’s Talk About Local Unconference, we put aside a session on the general election which everyone attending was able to take part in. Planning for this year’s election figures highly with many hyperlocal websites and the following list of ideas, hope, fears and tools are what the group on the day came up with and which might prompt some inspiration for others. The Googledoc is still open here and you’re invited to share more ideas or observations there. Look back to coverage from last election to see whether they’ve done/failed etc.